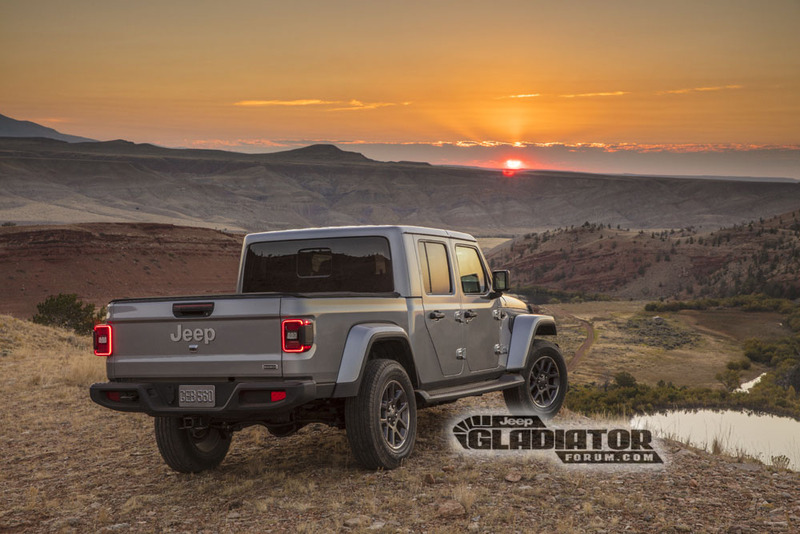 Details on the upcoming Jeep truck, now known as the Gladiator, have turned up on a forum after FCA erroneously posted them on their media site for a short while. 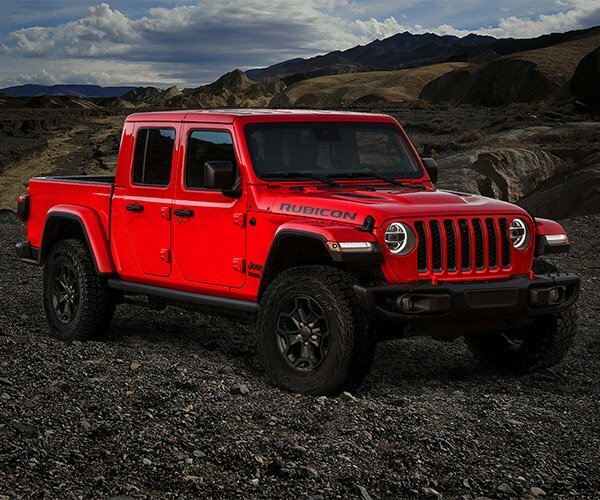 Now that we can see it without camo, the Wrangler-based mid-size truck is exactly what I had hoped for. It’s essentially a Wrangler Unlimited cut off behind the rear seats with a 5-foot steel bed grafted on. While that makes it much more versatile for hauling cargo, the extra length can’t possibly be a good thing for off-roading. 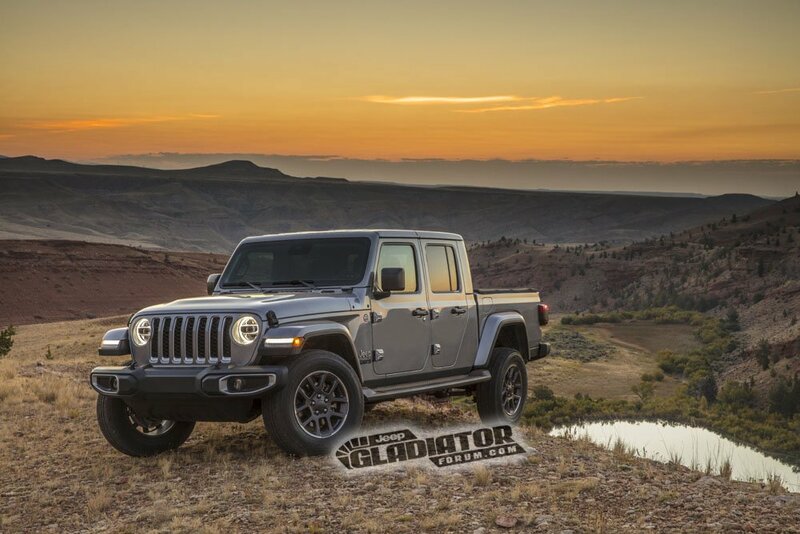 Unlike some leaks, this one didn’t just include photos, but also a list of specifications. 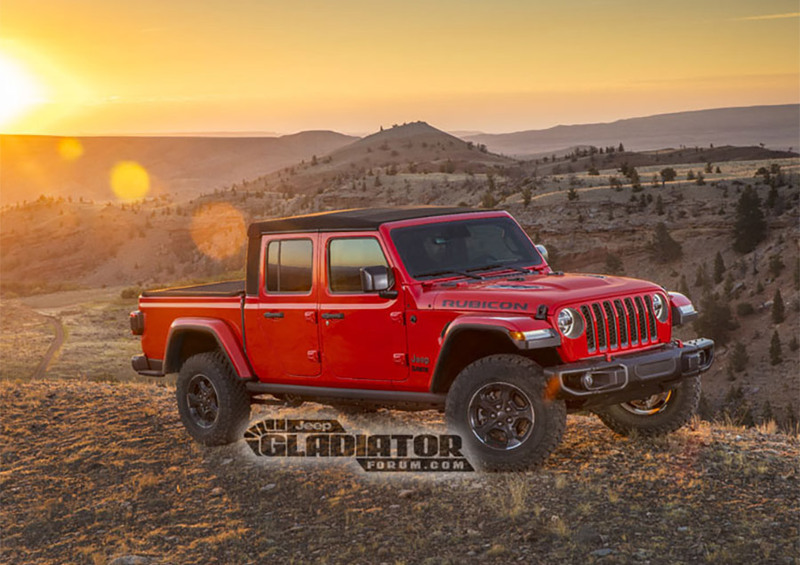 According to the documents posted on the Jeep Gladiator Forum, Jeep will offer the Gladiator in Rubicon trim with all the goodies that includes on the JL Wrangler Rubicon like the electric lockers and electric disconnect sway bars. 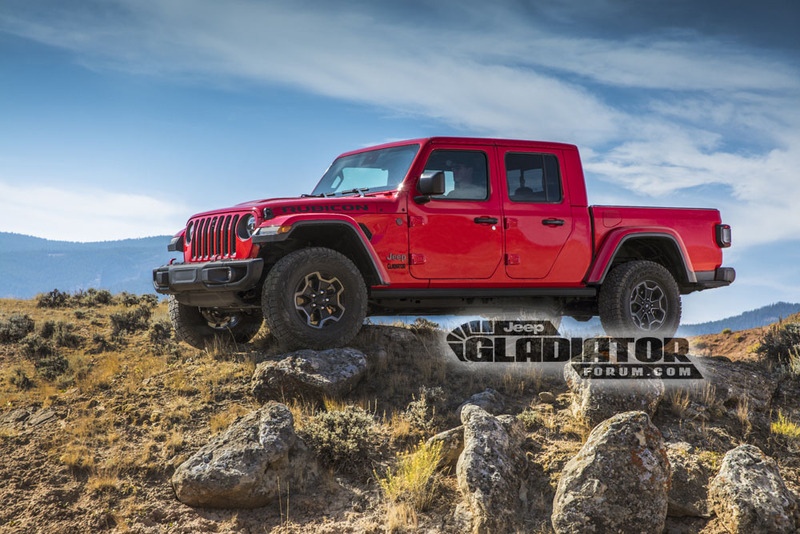 The truck will also have an available front camera to see obstacles in front while on the trail. It’s expected to roll on factory 33″ tires and come in soft or hard top versions, and the front windshield can lay down just like it does on the JL Wrangler. 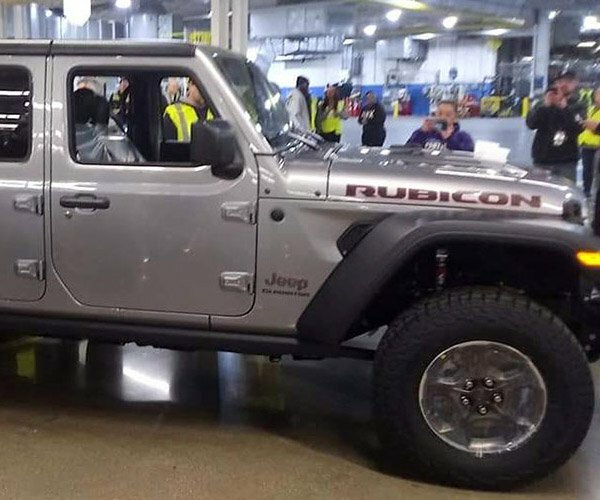 One image also shows a fabric bed cover that looks to be the same material the top is made from. The standard 3.6-liter V6 engine will have a 6-speed manual or 8-speed auto while the 3.0-liter EcoDiesel will only come with the automatic. 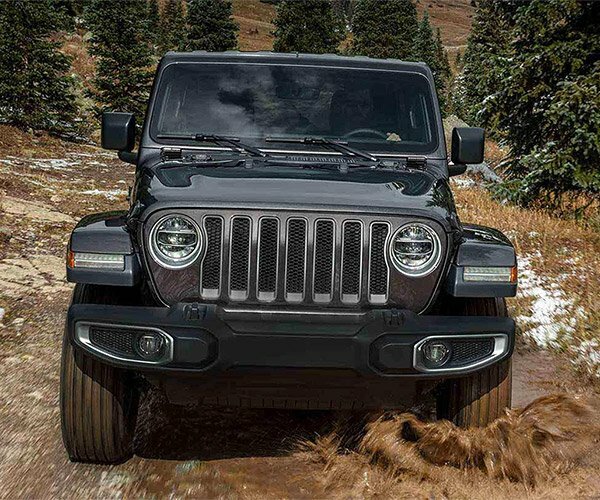 Expect the official launch announcement to come from Jeep at the LA Auto Show in a couple of weeks.